Entrepreneurship could be a solution to youth unemployment in Uganda. 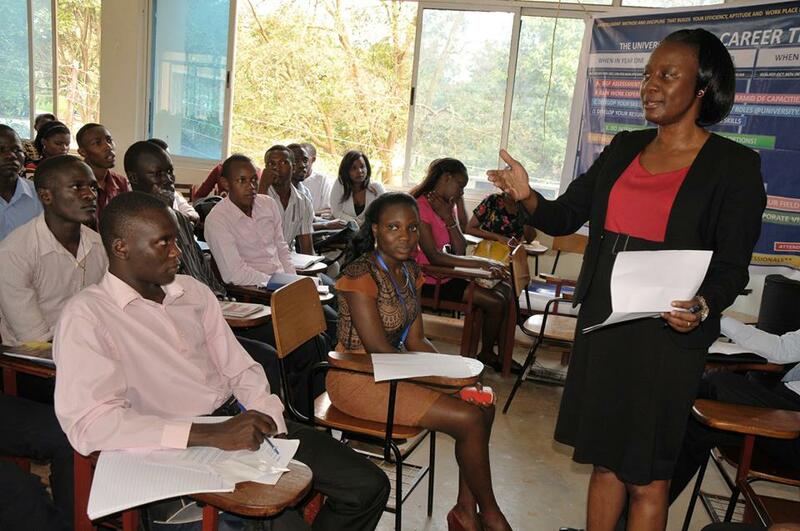 It is estimated that more than 40,000 young people graduate from Ugandan universities each year yet the market can provide only 8,000 jobs annually. But before one ventures into entrepreneurship, business establishments must consider so many things in order for them to register success. Taxation advice. Starting a business is easy but tax issues can take it down in seconds. Entrepreneurs must educate themselves on taxation policies and laws. This can help them benefit from tax exemptions for their startups. Tax consultants can advise you on how to avoid not evade taxes. Entrepreneurship training. Starting a new business is tough, just like the norm for any other profession, there is need to enroll for entrepreneurship courses because one simple management mistake may end a business. Drew Houston once said “Don’t worry about failure; you only have to be right once” A free Barclays training program called ReadytoWork will empower you with the training, support and learning needed to enhance self-employment prospects, Register now. Legal advice. Entrepreneurs have to engage legal experts in all their business processes. They must also take time to read legal documents regarding their business operations and consult with courts and regulartory authoritues. For example, it doesn’t hold water for an entrepreneur to avoid licensing because he/she did not know if it was required. Entrepreneurs must consider public relations. The Public or clients must know about the company’s goods or services. It’s very important that an entrepreneur considers and invests in Public Relations. Thankfully, social media offers relatively affordable PR services these days. Some companies are known to have increased their businesses’ market shares by simply embracing free available social media tools like Facebook. Funding. Entrepreneurs must plan for a stable Source of funding for their businesses because limited funding may affect a business future. There are lots of Crowd funding websites that can raise money for a startup. Entrepreneurs can also try raising money by selling shares on Uganda’s stock market. In conclusion, Entrepreneurs must stick to being professional in all their dealings. Even if it is hiring their staff. They should hire professionals in their businesses even if they are operating on a shoe string budget. Hiring next door neighbors or relatives does not always translate to profits. Barclays is currently running a money skills course that is equipping young people with the fundamental money management skills they need. Barclays Bank through its ReadytoWork imitative offers a free online Do It Yourself (DIY) course linked at ReadytoWork. Along with other modules, this course teaches a subject named ‘Money Skills’, which is offering content on managing your money, dealing with credit and debt, managing your financial future, among others. For those that prefer the face-to-face version, ReadytoWork created by Barclays Bank and implemented by BrighterMonday Uganda together with DigiCon Mini – Created by Google and implemented by Blu Flamingo will soon provide face-to-face free training sessions from 5th to 16th December 2016 at The Hub during which more engagements on Money skills will be attained. Registration is free Register.